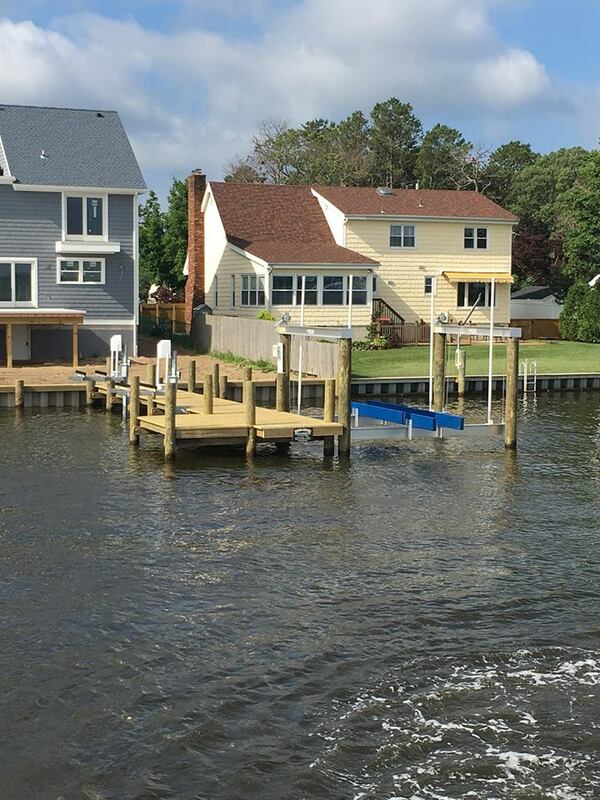 Borel Docks is the exclusive distributor in NJ for Golden Boat Lifts. 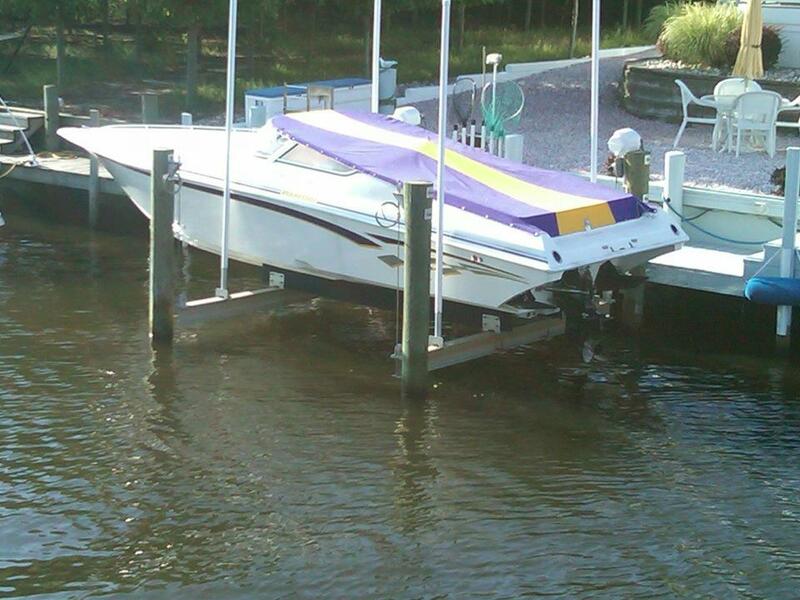 With a Golden Boat Lift Your boat or PWC is protected from weather and marine growth. Hull or engine damage is reduced to zero. 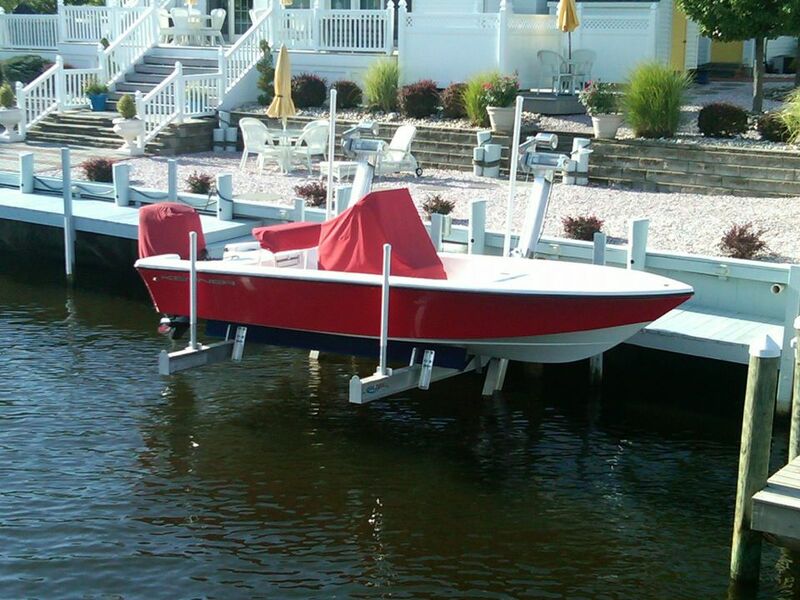 Boaters with lifts find the convenience and quick launch enhances the use of their boats. 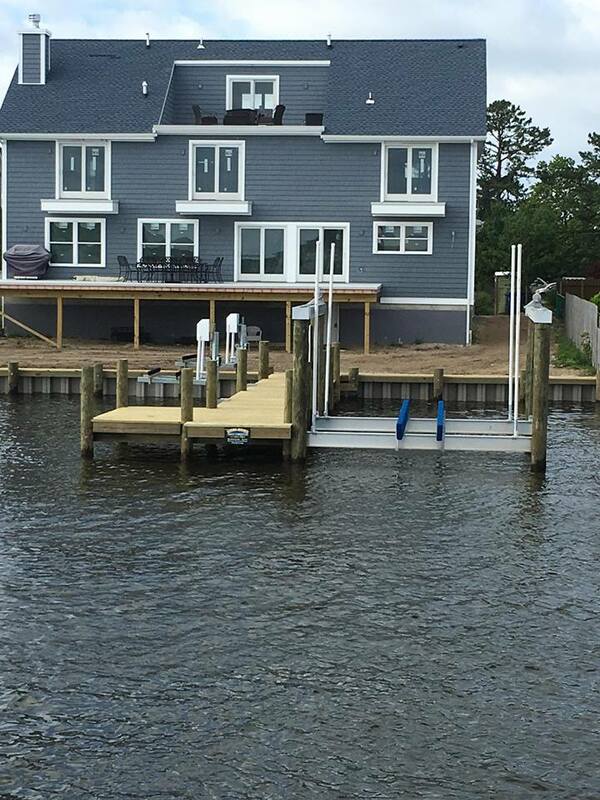 Having the boat on a lift makes boating more pleasant. 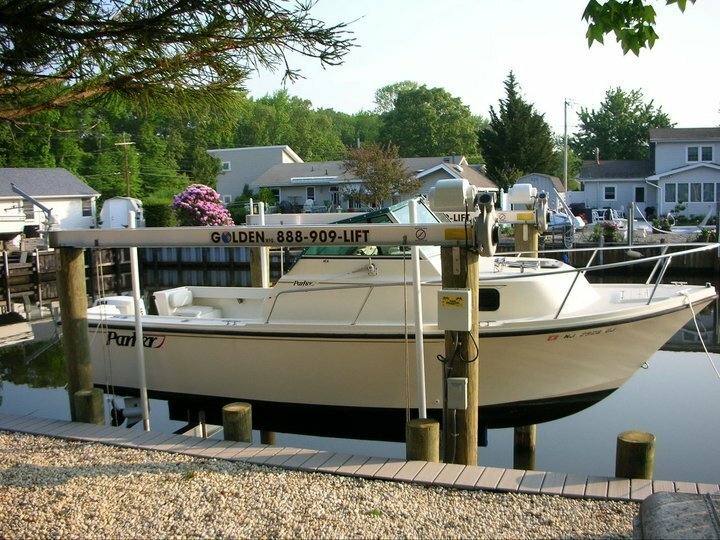 There is no calling ahead to make sure the marina has your boat ready, Your boat is five minutes from use. No ramping, waiting in line or physical exertion. 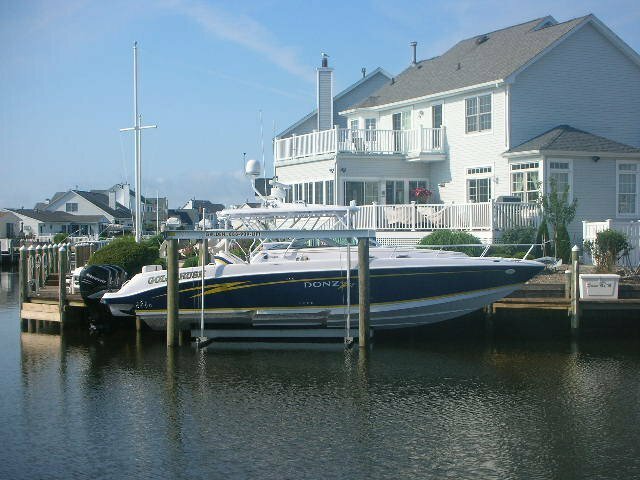 With a Golden Boat Lift a higher resale value is realized by never exposing the hull to marine growth. Avoiding paints, restoration, and hull repairs increases the boat’s resale by 20 to 40%. 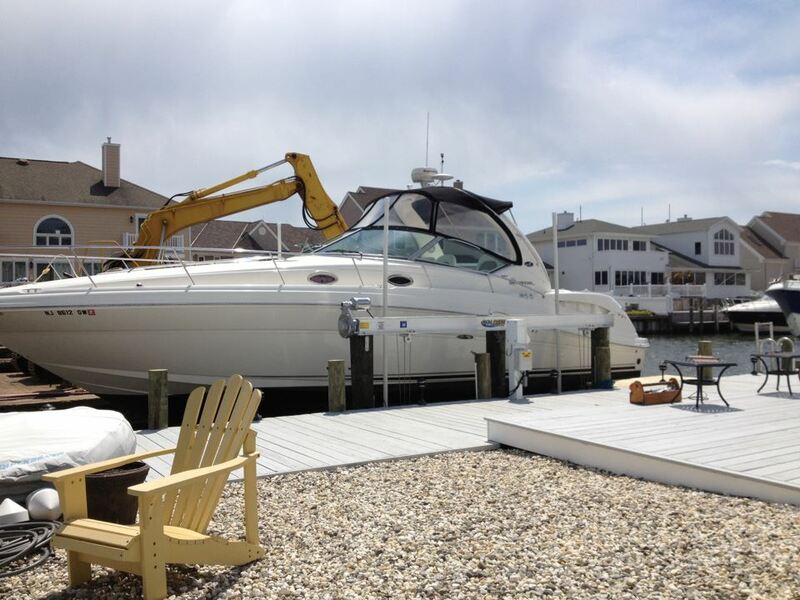 A Golden Boat Lift can pay for itself; a dirty hull increases fuel consumption 15% or more. 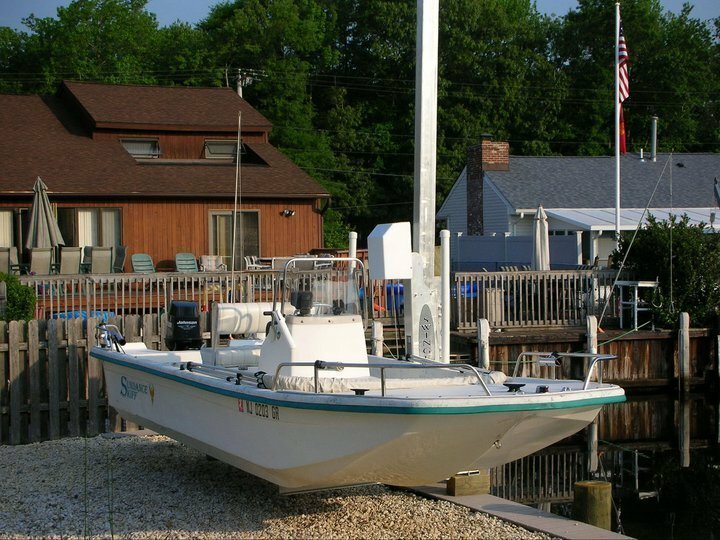 A boat-lift will give you this lost “mileage.” saving you money. 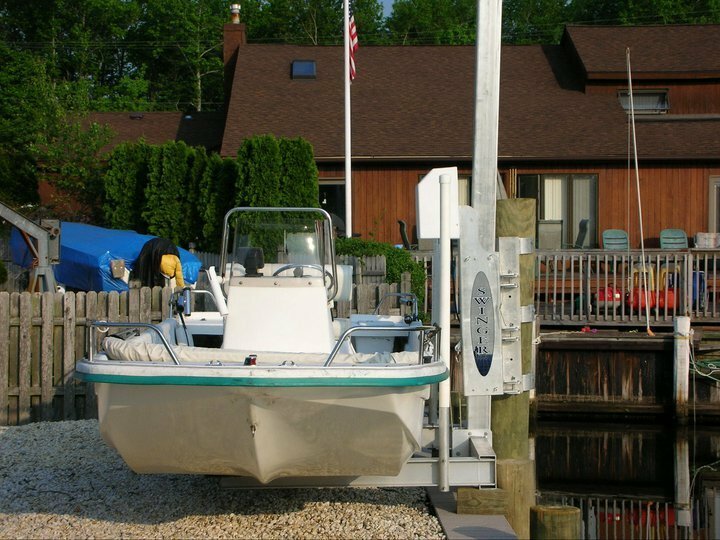 Boat owners and marina operators have turned to Borel Docks to install four-post boat lifts, Boathouse Lifts, Davits Solutions, Elevator Lifts, Swivel Jet Ski Lifts, Sailboat Lifts, Single Post Lifts and Low Profile Lifts. 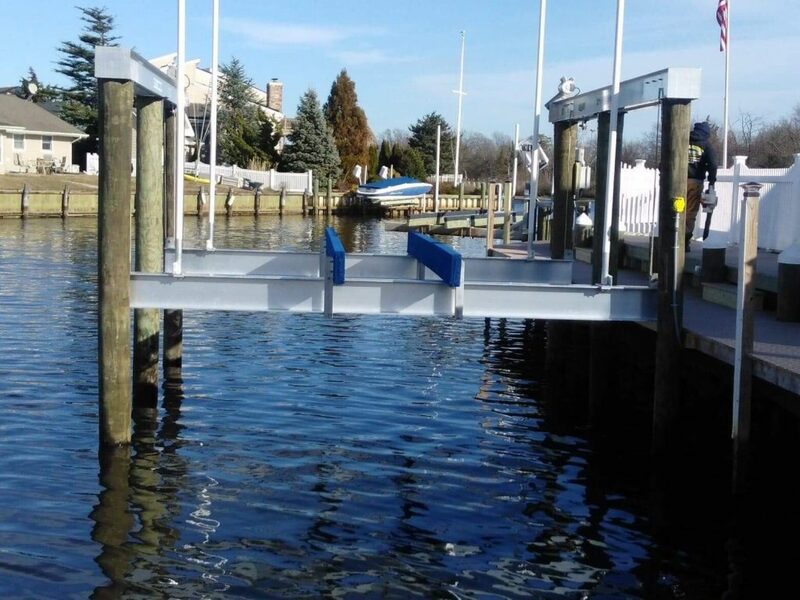 Borel Docks can also install Golden elevator lifts for narrow canals, embankments and locations where pilings cannot be used. 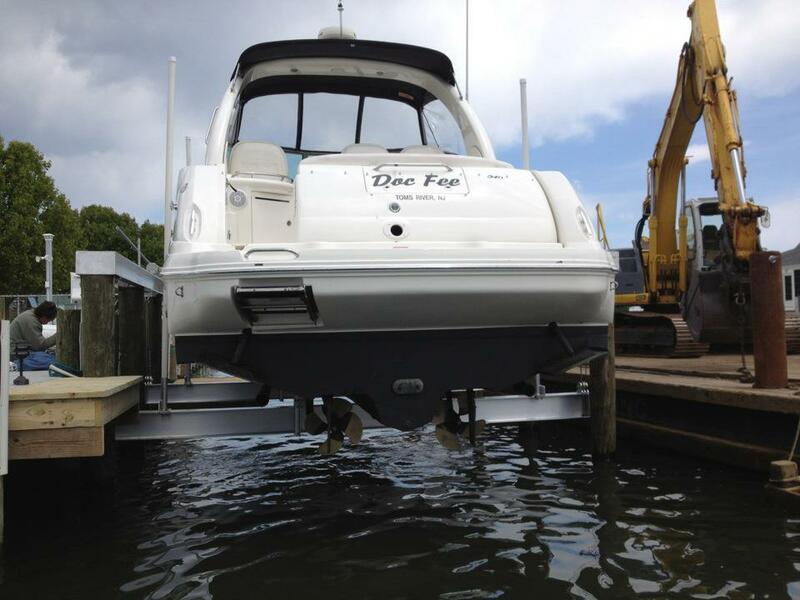 We pride ourselves in being your one stop shop for all your boat lift needs. 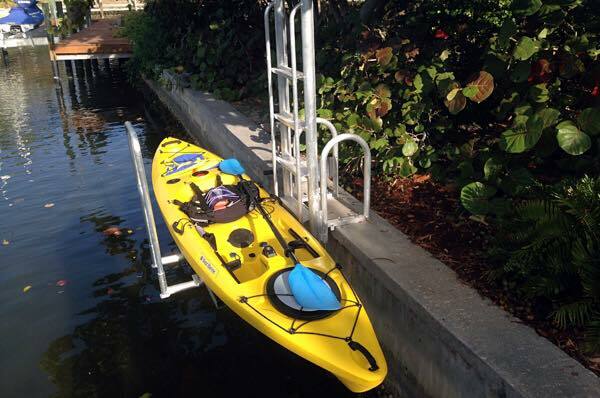 We have plenty of optional equipment for your Golden Boat Lift. You can choose from our Ladders, PWC Cable Locks, Aluminum Mooring Kits, P.V.C. 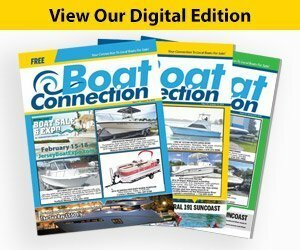 Mooring Kits and a whole lot more! 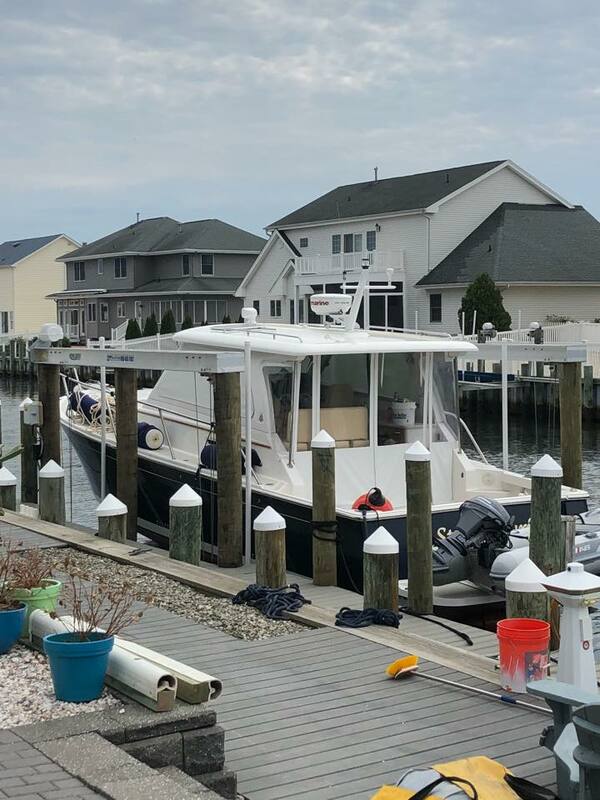 Our service area for new boat lifts or PWC lifts runs throughout Barnegat Bay including; Lanoka harbor, Laurel Harbor, Forked River, Lacey, Sunrise Beach, Bayville, Manahawkin, Waretown, Ocean Gate, Island Heights, Pine Beach & Barnegat Township. 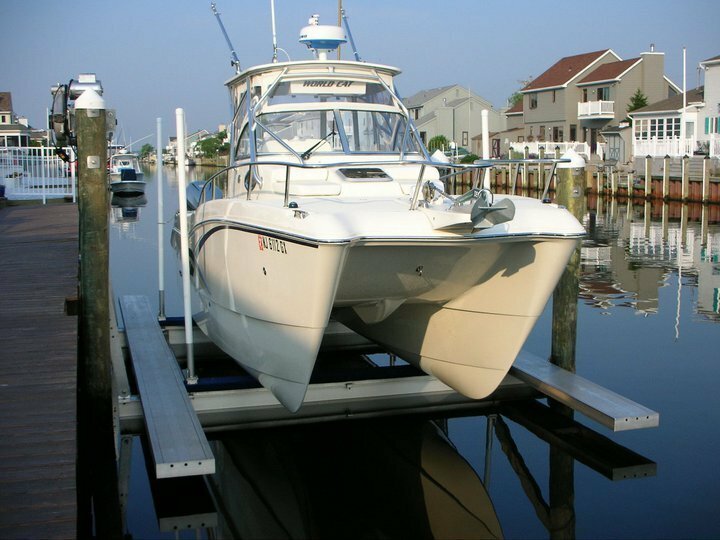 With our vast experience installing boat lifts and the unmatched quality of Golden Boat Lifts, Borel Docks can provide a full range of lift systems customized for your needs whether it’s Lifting Yachts, Power Boats, Pontoon boats, Jet skis, and even sea planes. 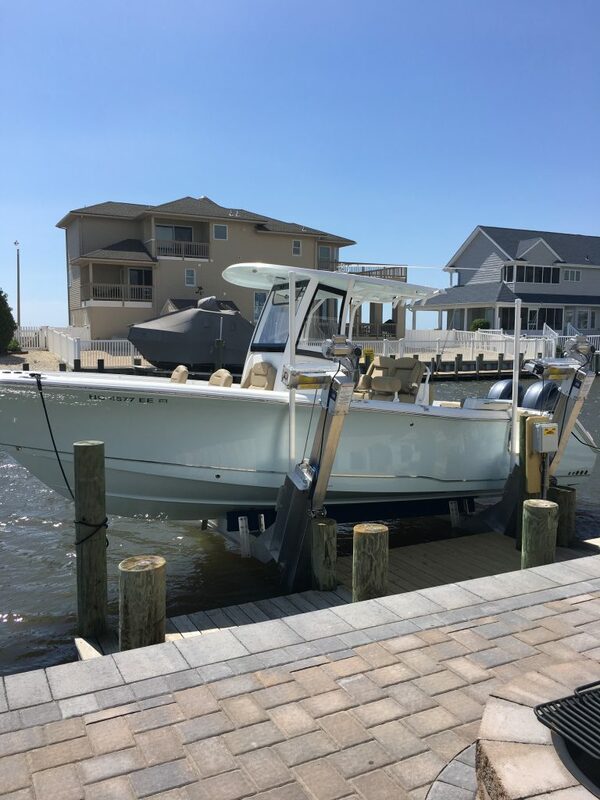 We highly recommend that you see the work of any marine contractor you consider for your project, and ask around. check out what some of our customers are saying. 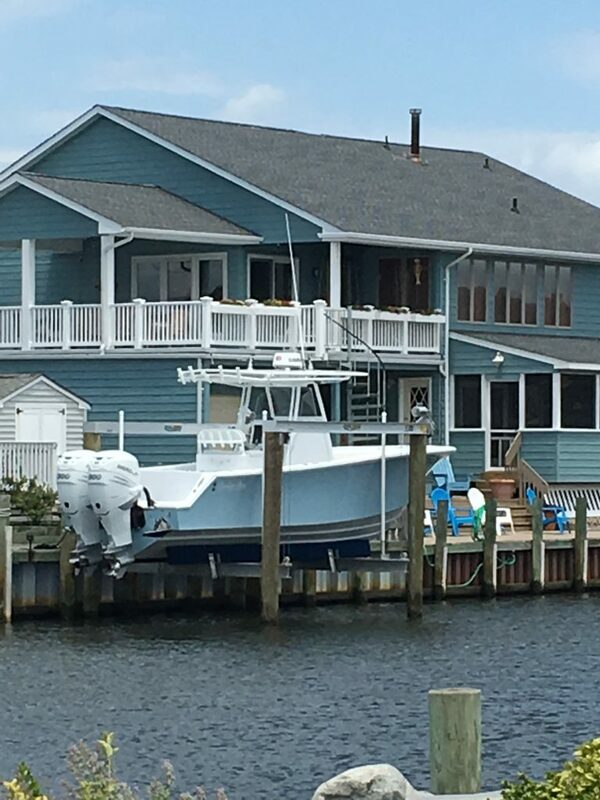 Contact us today (609) 693-7887 for a FREE Quote on your next project!